Inkymole: Inkymole Is Running For Cash: Part One. I've been running recreationally for two years and intend to carry on doing so. It's just that I've decided to throw in something which is a bit of a stretch. 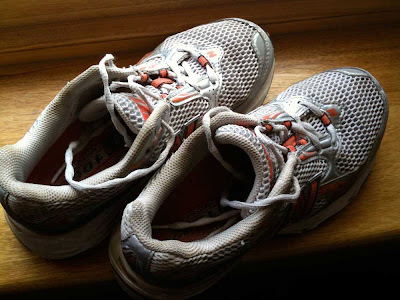 Having read Haruki Murakami's book 'What I Talk About When I Talk About Running' and how it is inexorably connected with his creative process, I realised that having found running, it was very unlikely I would ever stop. Thus, I'm intending to run my first half-marathon on October 10th in London to raise money for Mind. It took me about five days to decide, because a half marathon needs proper training, which means commitment to regular runs at certain times. Clients would have to be ignored to get them done. Jobs might have to be finished early to accommodate them. I might have to (gasp) go out running in the rain. But I get to RUN further than I've ever gone. It's the Royal Parks Half Marathon through the parks of London, and should be a lovely route. I've committed to raising £1000 minimum as part of my agreement with the charity. That's 200 people flinging a fiver my way. There are 600+ people in my address book and at least 50 people read this blog. Should be easy, right...? - I do the sweating, they rattle the tin! I really appreciate all your support, and I thank you in advance from the bottom of my weary trainers. Status report: Currently running 7.25 miles. Speed needs to improve and I need to watch my knees! More leg presses and abs required. And don't bother with the Go energy gels again - they taste like Satan's wrung-out socks.